Each year the world comes together for a celebration of our planet. Earth Day helps remind us why we need to take care of our home. Central Oregon participates in the festivities with events taking place all over Bend. You can enjoy the beauty of the outdoors with a weekend celebrating Earth Day in Bend Oregon. Perhaps the biggest Earth Day festival taking place this year in Bend is the Earth Day Fair & Parade put on by the Environmental Center. Their colorful celebration makes sure you enjoy the natural world in this vibrant community. The schedule of events includes live music, food provided by local purveyors, and a variety of family friendly activities. Festivities for Earth Day in Bend Oregon kick off with the parade at 11:30am, where costumed individuals take to the street. Last year’s parade featured the three Earth Guardian puppets. The B Side Brass Band leads the way giving the parade an energy that the city revels in. Two costume workshops will be taking place in the weekends leading up to the Earth Day festival letting you make your own special costume. Each workshop is at least two hours long and takes place at the Environmental Center. No registration is required, so if you are in town in the weeks leading up to Earth Day, make sure to stop by these engaging workshops! The biggest draw to the Earth Day Fair is the actual fair itself! The fair will be held at the Environmental Center in downtown Bend and take place from noon to 3:00pm. Live music will be provided by Broken Down Guitars as they keep the excitement going. Local businesses and food carts will be on hand so you can find the perfect gift to take home and enjoy delicious food. The children will find face painting and obstacle courses over in the Kids’ Zone that will keep them entertained for hours. Make the most of your Earth Day weekend by enjoying the local fair and parade. Be sure to also check out the gorgeous scenery in Central Oregon by taking a hike or visiting Deschutes River. Relax between your festivities at one of our vacation rentals featured around town. You can enjoy spacious homes with luxury amenities that are second to none. 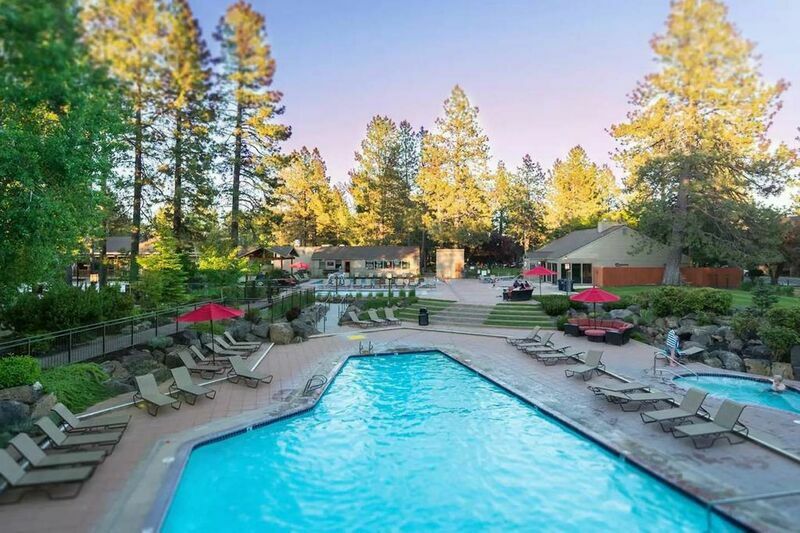 Contact us today to learn more about Earth Day in Bend Oregon and to book one of our beautiful rentals!